I have done a lot of humus tests lately using the Lamotte Soil Humus Screening Test. The results have been very interesting and informative. At least 90% of the soils tested the past four years have shown a high humus reading based on the Lamotte method. The soils that didn't respond must have some problems that still need work. I wish that I had a 90% success rate on a lot of other things I have done in life. The question now becomes, "What does this mean?" I believe this means the potential for better quality in the crops produced. Quality is often talked about, yet hard to define when speaking of grains, fruits and vegetables. To me, better quality means better shelf life of fruits and vegetables, higher oil content of grains, well defined flavor, rich color, high weight per volume and a high sugar content. 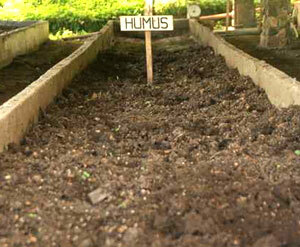 Humus is that fraction of the soil medium which aids in making minerals available to plant rootlets. The principle components of humus are a group of humic acids which have very unique properties. The best description I can use to describe humic acids is, "oscillating catalysts." This means they can work over a wide range of soil conditions and still be effective. For example, there is a chart published which shows the optimum pH range in which basic elements for plant growth are most readily available. This holds true in low organic matter and low humus soils. The minute you introduce different levels of humus into a soil these ranges change. This area has been studied by researchers for some time with little or no results due to the fact that the humic acids don't respond in solutions and under conditions of conventional chemistry like other acids. Humic acids of different types have a high buffering capacity. Since humic acids don't work well in the bounds of conventional chemistry many researchers have quit pursuing this area. It is only recently that humic acids are being looked at again. Generally, with higher levels of humus in the soil it takes less nutrients to produce a pound of produce. In other words, the system becomes more efficient. I have recently checked 350 soil samples that I received and many of the first and second year clients have very low humus readings. The scale used by the Lamotte test runs from 1-5 with 5 being the highest humus reading. Humus is produced in the soil by the proper decay of animal and plant matter. The principle component of humus is carbon. The color ranges from a light brown to a dark brownish-black. In order to build humus levels in soil the proper ratio of water, air, residue, bacteria, protozoa, algae, yeasts and fungi are needed. Use of acid and salt based fertilizers in excess of the soil's ability to neutralize them results in lowering, rather than building, the amount of humus in the soil. The lower the humus becomes the more often the soil needs rain to maintain a crop. The soil that contains a good humus level stabilizes moisture availability and the soil more readily draws humidity from the air at night. Humus increases the strength of the electromagnetic power of the soil resulting in the faster plant growth. I observed a field last year that was entirely planted in one day. After 2 weeks one part of the field had nearly 2 inches more growth than the other. This result may not be due to humus, but it sure could be a factor. Humus certainly affects soil tilth and makes the soil much easier to till. I also have observed less problems with weed control as the humus rises along with the calcium. A factor that is seldom discussed in soil fertility is sugar levels. As the sugar and humus levels rise in soil, along with calcium, weeds become much easier to manage and the need for herbicides is greatly reduced. I have had several telephone conversations relating to the use of sugar and the reduced incidence of weed control problems. I wish more research would be done in this area. The one thing I find most interesting is the higher the humus the less grass problems a field seems to have. If you look at the root systems of grasses and the root systems of broad leaves, you will notice quite a difference. Grasses are generally more of a problem in tight, compacted soils and broad leaves in looser soils that are deficient in a specific trace mineral. If conditions are right for humus development in a soil, the hard pan often seen in soils under heavy crop reproduction has a tendency to dissipate, which further helps the movement of water up and down. It has been very interesting watching humus levels rise in the soils on which I have been working, and yet not always understanding why. The first thing I look at in my soil tests is the calcium and magnesium levels. If the ratio is very narrow you nearly always have a tight, compacted soil. I like to see the ratio of calcium to magnesium greater than 5:1 and closer to 7:1. If the ratio is narrow and it is fall, I will recommend a liming program. If it is spring, I would generally recommend the use of liquid calcium products of which there are many on the market and all are very good. If you are purchasing a liquid calcium product be sure to find out if sugar has been added. If not, apply sugar at the same time. I have recommended this many times and often see a dramatic increase in calcium after a short time. It's not uncommon to have a calcium reading of 1,000-1,200 lbs. and 4 to 6 weeks later see readings of 2,000-3,000 lbs. per acre or more. Many would ask how this could possibly happen. Calcium can be tightly bound to clay and silica particles in soil and thus not show up in a regular soil test. The action of bacteria can release this bound calcium into the soil medium and make the calcium readily available to the plants. One of the key ingredients is a source of energy for the soil bacteria and I find 4-6 lbs. of table sugar works very well to accomplish this task. Actually, most any type of sugar will do. The liquid calcium is also very important because, just like any other animal, the number one mineral needed by bacteria is calcium. The activity of the calcium, sugar, and bacteria start to mellow a soil, increasing the air and water holding capacity. Once bacteria become active, the electromagnetic field in soil starts to rise. The reason is that all living things carry an electric charge and bacteria are no exception. Bacteria are also sticky and can cause soil particles to clump together causing a granular consistency. This helps air and moisture movement through the soil, allowing the bacteria to get needed nutrients from the air. It is very important to get this cycle established in a soil so that you build humus and electromagnetism in a soil. This stronger the electromagnetism, the greater the oil content of crops and density of produce raised. The more energy in produce, the healthier it is for whoever consumes it. What we really need is some accurate feeding trials to know the economic impact. I know quality grain can make a difference but the question is, "How much?" I have also found fish meal, liquid fish, and dry, water soluble fish to be a very valuable source of plant food used in an overall soil program. I like to use liquid fish with liquid 28% nitrogen in preplant broadcast programs and side dress programs. Fish contains a good spectrum of trace minerals, amino acids, vitamins and enzymes. Fish also has quite an impact on insect damage when sprayed on crops. The impact of this will not occur the first or second year after coming off a conventional program and I am not sure why. After this period of time, spraying with a mixture of liquid fish and seaweed seems to really have an impact on insects. I like the dry, water soluble fish for foliar applications because of the fine particle size and enzyme content. The use of these products seems to mellow a soil faster and increase the humus content. The sooner the humus content rises, the greater the chance of surviving a dry spell. I have been asked many times about yields and pay back with this type of program. The first two to three years I don't see much in increased yields, only more nutrient level per pound of produce. Once the soil is built up, then yields should start to rise. The big benefits in the end are less erosion and pollution, and the soil is easier to work. I also work quite extensively with a product call Nitromax and find it to be an excellent product if you know how to use it. It works very well into programs along with manure and not so well in heavy, tight soils with no manure. If you have heavy, tight, clay soils that lack air, the results the first year or two will not be very good. If you are going to use Nitromax under these conditions be sure and use a soil conditioner along with Nitromax. Nitromax contains cytokinins that affect soils in such a way to produce their own nitrogen. The results are usually much better in lighter soils than in heavier soils. I often find increased nitrogen levels above and beyond controls if Nitromax kicks in. Nitromax frequently brings the pH to around 6.8 unless some basic elements are very deficient. Like most products it takes careful management and planning to make it a success. For some reason, when using this product, the calcium to magnesium ratio widens, which helps grass control and soil compaction. It is very convenient to use and mixes very nicely with liquid nitrogens. I always want to see the product broadcast on the whole acre, not just part of the acre. 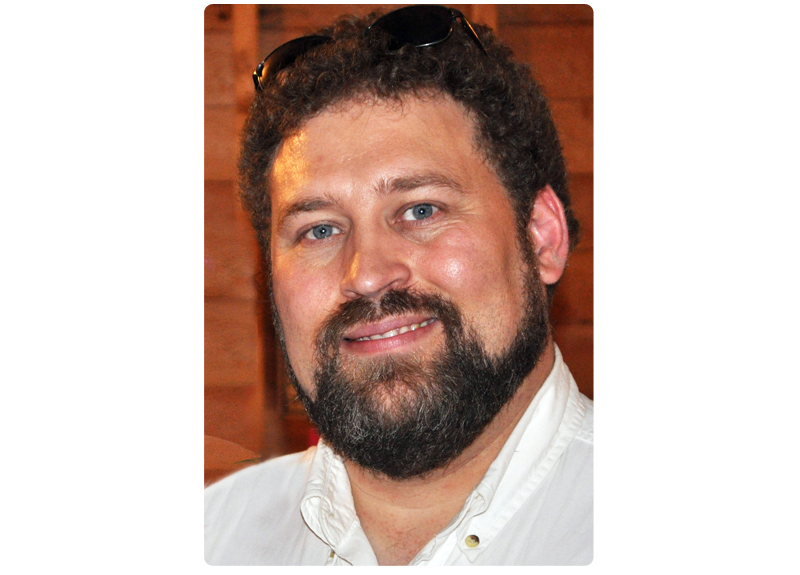 Nitromax has long running case histories of increasing the soil organic matter the first year one-half percent, one-half to one percent the second year, and one to two percent the third year. 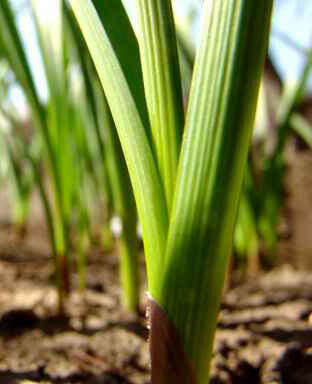 The success or failure is dependent on the availability of soil calcium. So far I have been finding it working quite successfully on my own farm. Currently the organic matter is over five percent and calcium running 3,500-4,000. I have added 200 lbs. per acre of hi-cal lime the last two years along with Nitromax and have seen the calcium rise from 1,100-1,200 lbs. per acre to over 3,000 lbs. 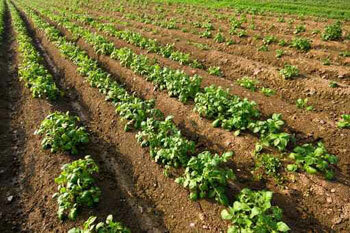 per acre and the organic matter rise 11/2 percent. The yields have been at the top for the area. The soil tilth is excellent and weed control very easy. Most well managed programs don't see dramatic yield increases but rather increased quality as shown in higher levels of zinc, iron, copper, cobalt, calcium and phosphorus in the grains or vegetables. I just hope more people become aware of these things and premium markets are established.